I've really got a love/hate relationship with baking. It is something that I genuinely enjoy, but unfortunately the end product always turns out soo delicious it is difficult to turn down seconds and thirds. Because of this, I decided to never bake something unless I know I can give away most of it to family or friends the next day. I had those same good intentions the other day when I made these pumpkin bars, but sadly only a quarter of the pan made it out of the house. The rest, my husband and I devoured within 2 days. But really, it's gotten to the point where I severely limit how often I will make these delicious, surprisingly easy pumpkin bars for fear of eating them all myself. 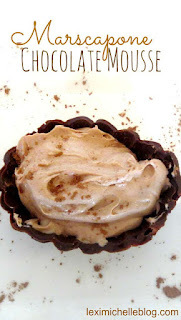 I originally shared this recipe in 2015? Years later and it's still my go-to dessert for big Fall family gatherings (when others are around to eat this too and it's not just me). It's been fun to see that it's now a lot of other people's go-to as well! In a bowl, beat eggs, sugar, oil & pumpkin. 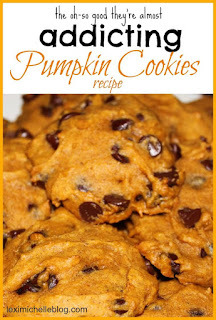 Combine flour, cinnamon, baking powder, baking soda, & salt and them gradually add to pumpkin mixture. Bake at 350* for 25-30 minutes. Beat ingredients together in small bowl until smooth. **These are delicious the first day, but the second day they are my absolute favorite! 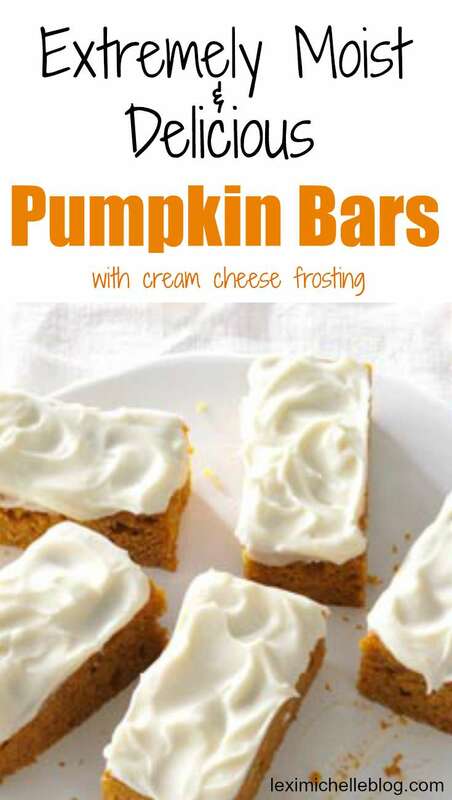 That pumpkin flavor really starts to come out & they become even more moist (especially if you keep them covered)! To everyone who had commented on this post. I am sorry I had to disable "commentluv" the app I previously used for comments due to technical complications. I feel bad because I know that there were over 20 comments on here. But to the comments with questions: yes you can use a 9x13 inch pan, but the cooking time may be different and you will probably need two of those pans for all the batter. and the jelly roll pan I use is linked above and is the standard 10x15x1 size. and thanks to everyone who has enjoyed this recipe! I am glad you love it as much as we do!! I made your pumpkin bars last night for our church's Thanksgiving lunch today. They all disappeared quickly. Everyone loved them!! I can't wait to make another batch this week for my family's Thanksgiving dinner. 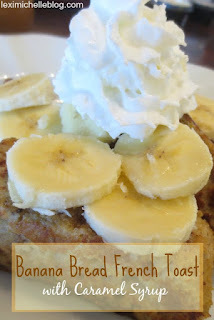 Thank you so much for sharing this delicious recipe! I am so happy everyone loved them! they go really quickly when we make them too! Do you cool the bars in the fridge overnight or just room temp? How many cups of powder sugar is this equivalent too? 2lbs is roughly 32 oz. So half of that is 16 oz. and 8 oz. in a cup, so use 2 cups of powdered sugar. Can I substitute the canola oil for another? Hi everyone! I just did this recipe with 9 x 13 pan and got great results! I baked for 25 minutes total at 350 degrees and it did the job perfectly! I wanted bars that were a bit thicker so this was perfect. Thanks for the amazing recipe it will definitely get a lot of use in my house! Heya i’m for the primary time here. I found this board and I in finding It really helpful & it helped me out much. I’m hoping to present one thing back and help others such as you helped me. Private Chef In London Very neat article. Awesome.